The National Heart Centre Singapore (NHCS)'s team of cardiac, thoracic and vascular surgeons specialise in treating high-risk patients and those who were previously turned down for coronary artery bypass at other centres. It also carries out minimally invasive general thoracic surgery for the diagnosis and treatment of a spectrum of chest and lung diseases. 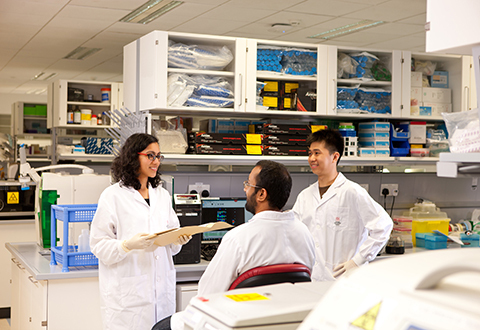 It is the only institution in Singapore that carries out heart and lung transplantation. The Centre has a full range FDA approved mechanical heart assist devices which serve as forbridge-to-transplantation for end-stage heart failure patients. 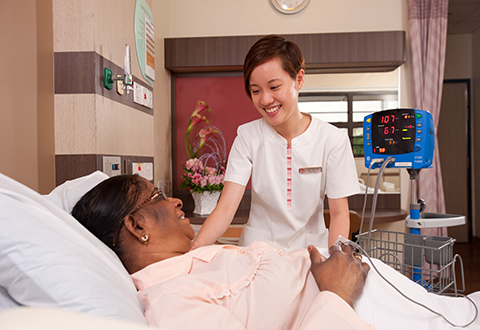 It is the first centre in Singapore to offer comprehensive care in surgery, radiotherapy and chemotherapy together with its sister institution, National Cancer Centre Singapore. The Department also provides emergency trauma care to patients with chest injuries from local and regional institutions. NHCS surgeons have achieved success in repairing the abnormal mitral valves rather than replacing them. This is made possible because of advances in surgical techniques and knowledge of mitral valve pathophysiology.